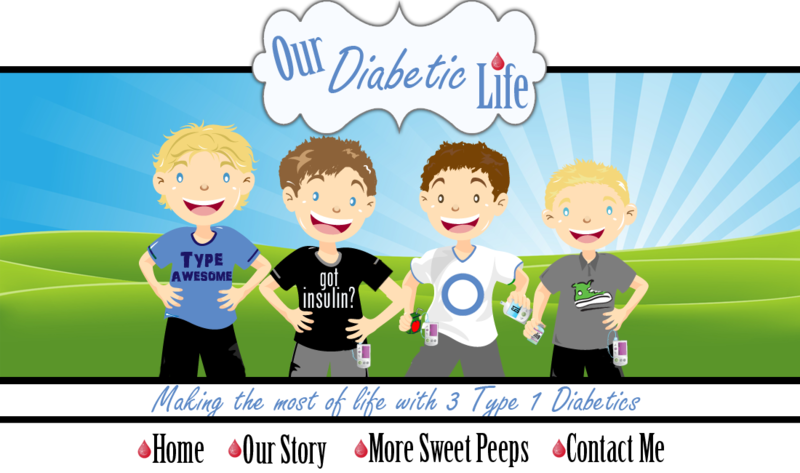 Our Diabetic Life: Continuing the mySentry dialog. Thank you for your questions the other day! Today I'm going to post answers to the mySentry questions, Monday I will have a long beautiful post explaining ALL about the CGM and how it works! I'm going to start by saying that Wed night we had to take off Ben's CGM. He was ice skating and bumped it pretty good. (In other words, he fell flat on his stomach a dozen times.) I made the call and pulled it...and TOTALLY regretted it the next morning. He went to bed with a BG of 132, he was 125 at 2:00am...and then woke up almost 400. Oh how I wished I was warned about this ahead of time. We didn't get that sugar down until almost lunch time as a result. OK...enough crying. I have the CGM on L now...onward! Many asked about how far B could be from the receiver for us to still see the readings. Honestly, I had to do some detective work...and it looks like I didn't have a clear picture of what was going on before. 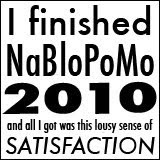 (I blame it on the combination of my epic flu and my perpetually swelly brain.) Our house is newer, and only about 2000 square feet. It is a completely open floor plan, not a lot of walls. From what I could see, B could roam freely and the graphs would still show on the receiver. However, it turned out that every time he spent a minute or two near the outpost, it would send the updated data to the receiver. When he ventured to the other part of the house, the receiver would simply be searching for data. Our floor plan works in our favor, because the boys TV/Hang out room is on the other side of the wall from the outpost in his bedroom, and the bathroom is about 5 ft away. He spends a lot of time in that little triangle, and it seems that is why I was getting constant streams of information. Your house/your walls may vary. mySentry is made for nighttime monitoring, but it seems I get the added bonus of a little more wiggle room, and a little more fun. The receiver updates its data about every five minutes from the outpost/pump. That is why, when B ran to get some water, or a snack in the front of the house, there was no interruption in reception. I didn't move the receiver at all. I kept it in my room. It was easily visible from my bedroom doorway. The outpost stayed put too. The pump needs to be within 6 ft or so from the outpost, and the receiver needs to be within 50 ft of the outpost. I found it went a bit farther than that, but it depends on your walls/your house. Medtronic has told me that a mySentry for multiple T1's is definitely on their radar. They can't talk about it...which believe it or not, is very encouraging. We have only one CGM that we share between the boys. We only put it on them when basals are off and I need an inside look at what is going on. Last summer we took a vacation to Disney, and no one has worn one since. I am expecting another CGM in the mail any day now, so we will have two in the house to take advantage of. The last year it has literally been, out of sight, out of mind...but it is back in the rotation again, and that makes me uber happy. They are so enlightening! They are also offering a 20 percent introductory discount, no-interest payment plans for as low as $50/month, and financial assistance for families who meet certain income requirements. I'm sure the cost of developing, marketing and getting regulatory approval are nothing to sneeze at. It is the first of its kind. Obviously, this device isn't marketed to the millions of people that other devices are, so the cost is going to be higher than we hoped for. I'm sure that they would rather have it cheaper and more accessible for sure, but quality and quantity are huge factors. Will the price go down? I personally hope so, but I have no idea. I guess only time will tell. Medtronic will work with you though, call them or email loopblog@medtronic.com with any questions, pricing or otherwise. It has a nightlight at its base that you can turn on. I'm assuming this is for PWD who would like to check sugars without turning on a light. The volume of the alarms can be adjusted, and so can the brightness of the screen. I have the screen very dim, but my husband is the kind of person that hates even the tiniest bit of light emanating from anything. (He often encourages me to turn my clock away from the bed.) I don't get it, when your eyes are closed you don't SEE the light! But to him, the mySentry is like having the international space station in our bedroom. On the mySentry you can enter the users initials and choose a cartoon like picture to represent said individual. Why are all the pictures of hipster adults? I have children. From what I can see they are marketing it to families with T1 Children...where are the children pictures? The only blond guy in there has a beard, so that is who I have representing L right now. My only complaint , other than the obvious multiple user conundrum, is that the mySentry doesn't show IOB. That isn't a deal breaker, but man, that would be oh so nice to see. Did I answer all your questions? Let me know if I missed anything. Monday I will have a post with everything Medtronic CGM and answer all the questions pertaining to that. I'll be sure to include pictures, how it works, what it sends its data too, if my boys like wearing it, and everything in between! My new blog construction is almost completed...whatcha think? 1) I love your blog!!! It's going to be BEAUTIFUL!!!! 2) It's good to hear that people can pay $50/month. That brings it back down to size and makes it much more accessible for run of the mill working families. 3) Love that he's represented with a beard. HA HA HA HA HA!!!! 4) Ooo...IOB on the screen would be SUPERFAB!! Hope they pay attention to that suggestion. now that our insurance is covering CGM (we've been buying it all out of pocket) we can put that cost to a MySentry...so here's my question - do you feel comfortable bolusing without checking, or raising/lowering basals without doing a BG check? I know we are supposed to ALWAYS check before making a decision, I just wonder if seeing the graph constantly would make me want to check more and tweak more. KWIM? Sarah, I don't often feel comfortable bolusing by CGM alone. There have been special situations when we are out and about, like at the beach, or at the movie theater, and the graph shows that they are going up and we gave a small bolus until it was convienient to check with the meter. As for basal changes, last night I did a temp basal of 0 for 30 minutes. He was 99, and the graph showed and arrow going down. I rechecked in an hour though, because the mySentry kept alarming and perdicting a low. He came up just fine, and then the alarms stopped. The arrows do make an impact on my plan of action. I think of it as making a more informed decision, on food and boluses. With the CGM there is a fine line between helpfulness and annoying-ness. You have to have the settings just right in the pump, or it will alarm all night long...and that defeats the purpose. Even though the child is getting better care, way less sleep is a steep trade off. I haven't gotten to the point of checking less on the littles, but I imagine when I put it on 14 year old J, it will be a different story. Have you had any issues in the middle of the night with it losing signal? What do you do with it during the day when the child is gone? Do you unplug it or turn it off or just let it run? I just recieved mine yesterday and used it for the first time last night. I am picking up Nash all over the house also. Which is just amazing. I did loose signal last night but it was because the cgm got lost from the pump. (lost sensor) Nash decided that he wanted to wrap the pump around him a couple of times. So far I give it a huge thumbs up also. I have lost signal a few times. When that happens, there are a few things we can do. One, wait for them to roll over and endure the alarms until the outpost gets a signal again. Two, mute the alarm all together. Three, go in there and flip the kid over. None are ideal. :( During the day when the boys are at school we let it run and just mute the alarms altogether. We could unplug, but this is a much easier solution. Hooray for thumbs up! Meri, you can't imagine how helpful it is for me to hear all of your feedback on this. It is a huge decision to purchase one at this point, and I'm so happy to hear from someone who I totally trust to say it like it is. I'm crossing my fingers that one day soon you will be able to view all 3 of your sweeties on one screen :) Thanks for answering all of our questions! thank you so much for sharing this! even though we are on the Animas Ping, I am interested in how this all works. sounds FANTASTIC! Thanks for sharing your perspective on this, Meri! Oh, and by the way: Love the new look of the blog, Meri!!! I am a newer reader to your blog and you have been a great inspiration to me. I often find myself thinking, "she gets me! that's exactly the way I feel!" Our middle son wears the CGM every week, we put it on on Sundays, it goes off on Saturday nights so he gets a little break and he wears it on his arm. It really helped us in seeing trends over time. We received some really great training from Medtronic that helped us use the CGM better on his body too. We are already working with our doctor, Medtronic, and our insurance and hoping the coverage comes quickly! and i LOVE your redesign!!! Love it! All of it! The mySentry, the new look and you! Great information! I sure hope Dexcom is working on this....!! Thanks for posting. I think the MYSentry is great, since neither Medtronic nor Dexcom seem to be able to allow for volume changes on the original cgms device. Expensive, yes, but worth every penny and I do hope Medtronic will package all three together cgms, pump with MYSentry when you order the initial pump; that way, insurance may be more inclined to pay for it. Very educational post and great idea using a stuffed animal to demonstrate sensor, cgms. Looks like the "seashell" part of the device is a lot smaller than when we used the Minimed cgms. Wonder if that is the Enlite sensor.... Yes, like your new website design very much. Cute. Meri Thank you so much for posting on mysentry!!! 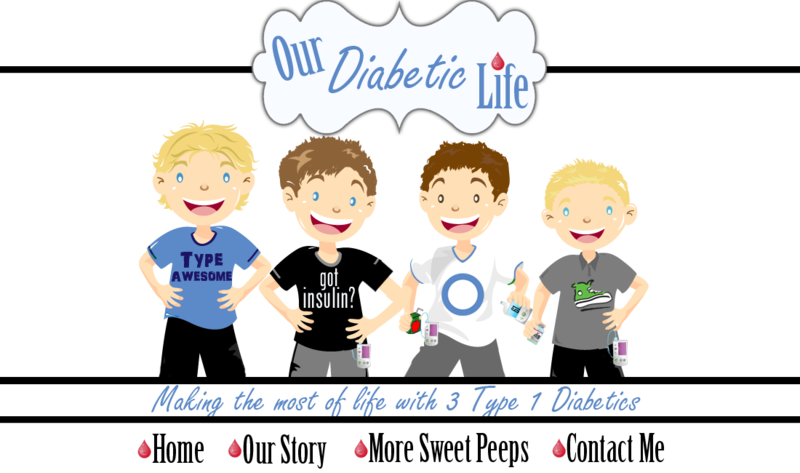 My son was just diagnosed with type 1 diabetes this past september and we are in the process of starting the pump. Actually the pump just came yesterday (minimed revel) very excited but nervous at the same time. I've been stressing over this new mysentry device. One its very expensive but also at the same time feel that it is very worth it. On the other hand the pump is all new to my son, Kyle (3 1/2 yrs old), and hope that he adapts to it. Which I think he will, but not sure about the CGM. If he doesn't feel comfortable wearing the CGM then I'm stuck with a very expensive product. I have until the end of this month to decide if I want to get it for a dicounted price of $1900 otherwise I have until April to get it for a price of $2400. They are giving me an extra $500 off the $2400 because of buying everything at once (pump and the cgm) Stressing out!! I really don't want to miss out of the extra $500 hundred off. But, on the the hand like I said before don't know if he will wear the CGM. How did your son's adapt to wearing the CGM in the beginning? Thanks Again for sharing your experience and love your website! I forgot to sign my name at the end of my post! It's Kim by the way. Thanks Again!! It talks all about our experience with the CGM. Every kid adjusts differently to it, I totally feel your pain. 3 1/2 is so little, there is just no way to know for sure if he'll agree to wear it. But, it doesn't mean that a year down the road he won't feel differently. There are so many things to weigh here, I wish I could give you a definitive answer! Hope the CGM blog post helps!